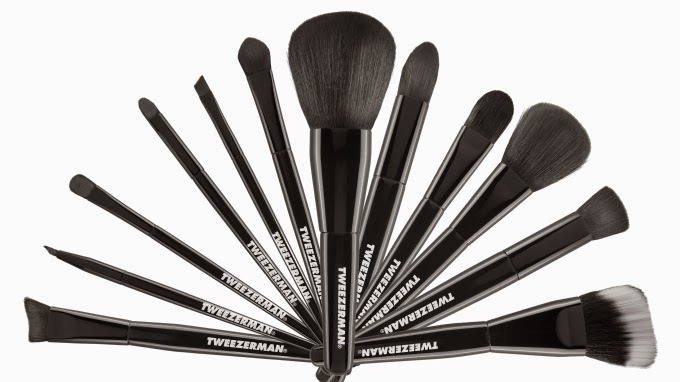 For a flawless complexion, and flattering eyes, Tweezerman, the beauty tools expert has introduced Brush iQ, a range of 12 assorted brushes designed to apply, distribute and deliver professional looking make-up application, even in front of the bathroom mirror. The next generation brushes are made using DuPont Natrafil filaments, that are proven to be more hygienic than animal brushes, and have been verified by the professionals to deliver unmatched performance; including a better pick-up of powders, release on the skin and eyelids and smooth for a more uniform appearance. Brush iQ soft-feel filaments have a light-as-air, smooth feel of natural bristles, but the advantages of advanced technologies that can distribute a variety of make-up formats beautifully and naturally, so that they flawlessly blend in.